A Victorian construction company has been fined $30,000 following an investigation into a fall on a construction site. The incident, which seriously injured the worker involved, occurred in July 2014. The importance of running a safe and compliant work site has been once again brought to the attention of the nation’s contractors, with the serious injuries costing more than just the hefty fine. While working on the Monash Translation Research Facility Project in Clayton, the employee was working at a height of eight metres above the street. When the unsecured metal sheeting under his feet shifted while he walked over it, the worker feel through an opening to the street below, breaking his pelvis and pubis, femur and wrist. Is your height safety solution up to regulation? How was the company at fault? Work Safe Victoria reports that the company in charge of the project had neglected to complete the Safe Work Method Statement (SWMS), which is required for all construction that carries a high risk. A SWMS had initially been prepared noting that metal sheeting was to be locked into place, however it was found that the plan was not followed through to completion. “It is simply not enough to have safe working methods written down if they are not put into practice in the workplace,” said WorkSafe Executive Director of Health and Safety, Marnie Williams. Any construction activities above two metres are considered high risk. Safe Work Australia defines the SWMS as a document to outline all potential hazards present on a work site, as well as the procedures being put in place to counter those risks. The process should be carried out by the builder in charge of a project, however consultation with subcontractors and contractors is advisable to ensure the document is comprehensive. 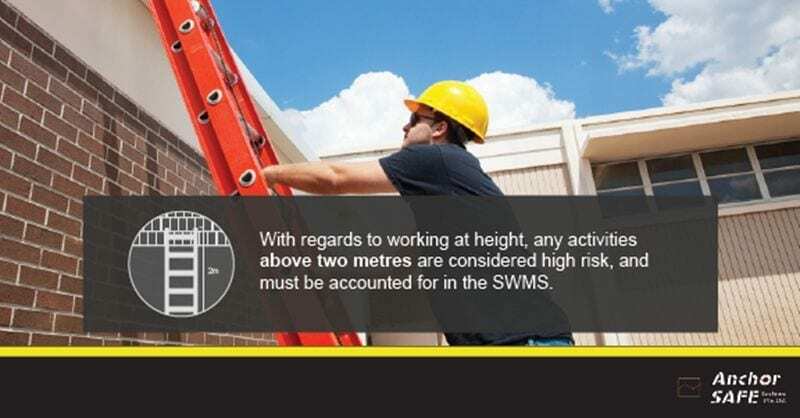 With regards to working at height, any activities above two metres are considered high risk, and must be accounted for in the SWMS. With 41 worker fatalities in in Australia as of April 20, the need to implement proper administrative controls on the construction site should be front of mind for all builders. Incidents like the above in Victoria can be avoided with the correct height safety equipment, including the use of guardrail systems, fall arrest and restraint solutions and walkways. Speak to Anchor Safe Systems today, to avoid becoming the next company under investigation.